North West Motorway Police have issued the plea after they were called to 47 accidents across the northwest before 10am on 28 February. 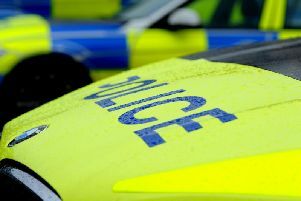 Lancashire's motorists have been urged to slow down after bad weather caused a spate of accidents across the network. North West Motorway Police have issued the plea after officers were called to 47 accidents across the northwest before 10am on 28 February. A lane was closed after a black Audi TT and a Vauxhall Vivaro crashed at around 7.50am on the M65. Officers were later called to an incident on between junctions 8 and 9 the M61 where a grey Audi spun and ended up facing traffic in a live lane. A spokesman for Northwest Motorway Police said: "We were called to a high number of accidents this morning that were caused by hazardous weather conditions. Thankfully, nobody was injured in any of these incidents and the people involved had lucky escapes. "There may be more rain this afternoon and conditions are still damp, so we would like to remind drivers to allow extra time to complete their journeys. Please always ensure that you have enough space between you and the vehicle in front and to drive according to the conditions."